North Antrim MP Ian Paisley was this week awarded the Northern Ireland MP of the Year Award at the Political and Public Life Awards held in Westminster on Thursday evening. The ceremony, sponsored by Asian Voice was hosted by Keith Vaz MP in Westminster. MPs were nominated by readers of Asian Voice, the largest readership of all the ethnic minority papers across the United Kingdom. The award was presented to the MP by the Leader of the House of Commons the Rt Hon. William Hague MP. The Political and Public Life Awards, now in their ninth year, are to recognise outstanding contributions by both politicians at all levels of governance as well as those who have excelled in their careers in the public eye. Previous winners have included the Prime Minister David Cameron MP as Politician of the Year, X-Factor winner Sam Bailey as Breakthrough Woman of the Year as well as Civil Rights Leader Reverend Jesse Jackson and News Anchor Moira Stuart who were both awarded Lifetime Achievement Awards. Rupanjana Dutta of The Asian Voice explained “The Political and Public Life Awards represent our modest effort to honour a number of outstanding individuals from different communities, walks of life and diverse political persuasions who serve society in their own special way, and who contribute significantly, in whatever they do, towards making a better world today and for the future. 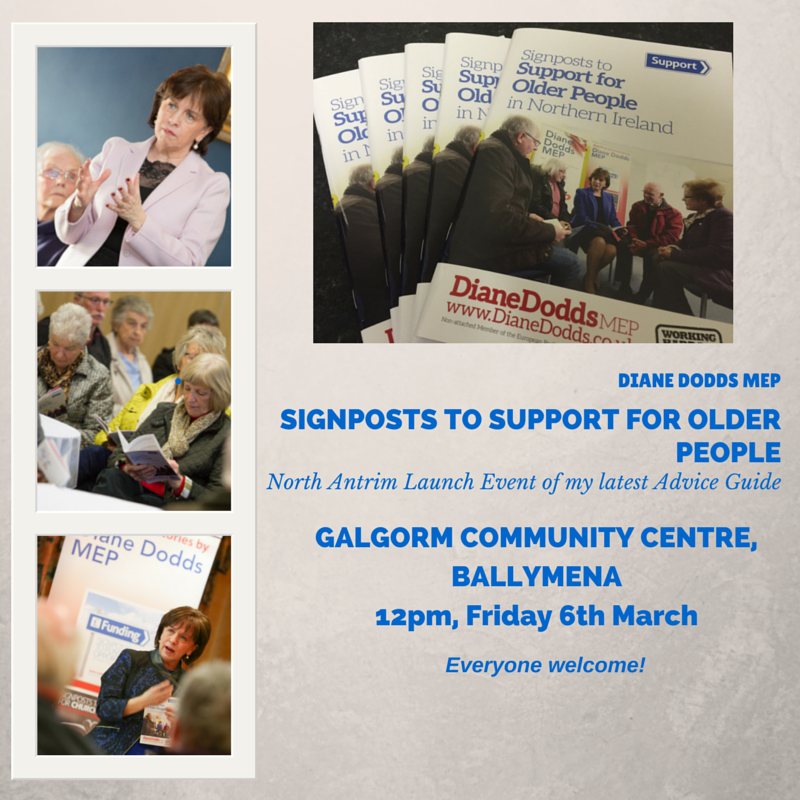 These awards are given annually to individuals who have made a special impact in the preceding 12 months, ranging from international politicians to individuals who have made a big difference in their local communities. It is the ninth year the awards have been presented and as in previous years, the competition for awards was extremely strong. Keith Vaz MP who hosted the 250 guests at the ceremony in the Members’ Dining Room of the House of Commons commented “I am delighted that Ian has won tonight’s coveted award of Northern Ireland MP of the Year. On Thursday I attended on behalf of parliament the official memorial and wreath laying ceremony for the first Member of Parliament to die in the Great War on 6 November 1914. It was a very poignant ceremony and was attended by members of the O’Neill family. It took place at the Great War memorial window in Westminster Hall. Mr Speaker preceded and Lord Eames conducted the religious ceremony. Wreaths were laid on behalf of parliament and the family. 22 MPs lost their lives during the Great War of 1914-18. I was aware that the MP for what was then Mid Antrim (now North and East) was one of those members, as his family plaque and coat of arms is immediately under the gallery as you enter parliament. He was in fact the first member to give up his life in the war. Arthur O’Neill was born on 19th September 1876 and was the son of Baron Edward O’Neill. His political career at Westminster began in 1910 when he succeeded is uncle Robert Torrens O’Neill as the Member of Parliament for Mid Antrim, a post that he held up until his death. His son was Terence O’Neill. He of course went on the be Northern Ireland’s Prime Minister in the Stormont parliament and whom my father challenged in 1969 over his leadership of unionism. The current North Antrim seat is made up of Captain Arthur O’Neill’s former seat. It was exactly 100 years ago to the day when Captain O’Neill was killed in Belgium on the 6th November 1914 on Klein Zillebeke ridge on what was one of the most critical days of the first battle of Ypres, as the Germans sought to gain control of the Channel Ports. The circumstances of his death bring home the horrors of war. He had helped give cover to his squad and was dashing back to them when he was shot along with his colleague. He rolled around injured on the ground and gave more cover to his colleague who was rescued. Germans then came upon Oneill as he lay wounded and one officer stood over him and shot him three times. It was murder on the battle field. At the memorial service I read a letter sent to his family that Lord Rathcavon let me read detailing his murder is was appalling and a great reminder of the awfulness of war. Captain O’Neill joined the 2nd Life Guards in 1897 and prior to the Great War he fought valiantly in South Africa, being awarded both the King’s Medal and The Queen’s Medal with three clasps for his bravery between 1899-1900. It is obvious from the descriptions of his death as well as his decorated military career that Captain O’Neill was a leader of men both on the battlefield and in politics. I found a biography of Captain O’Neill in the House of Commons library which was a description of his character at the time of his death. Breakthrough British band ‘The 1975’, who have had a meteoric rise in the last 12 months, are set to take time out from their massive world tour to headline the intimate ‘Bushmills Live’ festival on Ireland’s north coast on June 12, 2014. The four friends from Manchester, who have supported the likes of The Rolling Stones and MUSE in the past, are embarking on a world tour that will see them play huge gigs in Australia, Japan and America, as well as a more intimate set at the Old Bushmills Distillery. This year the festival, previously headlined by the likes of Snow Patrol, Jake Bugg and Of Monsters and Men, will see 700 whiskey and music fans invited to the brand’s home on June 11 and June 12 to witness emerging and iconic artists sharing the stage for a series of intimate gigs in age-old buildings, where the art of making whiskey has been perfected over centuries. To celebrate the launch of ‘Bushmills Live 2014’, the music-loving whiskey makers at the Old Bushmills Distillery have collaborated with two local artisans to craft the world’s largest barrel oak headphones which will enable friends to share in the music in a unique way. 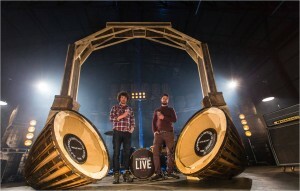 Made using almost a dozen giant whiskey barrels, the headphones stand at over 10ft high and will form an interactive centrepiece with music from Bushmills Live artists past and present played through the unique, handcrafted headphones. Festival-goers will be able to sit between the ear pieces to experience a truly unique combination of handcrafted whiskey and music. It follows on from a successful tie up with Hollywood A-Lister Elijah Wood, who along with his friend and DJ partner Zach Cowie, designed a line of Grado Labs headphones made from Bushmills Irish Whiskey wood in December. The ‘money-can’t-buy’ tickets will not go on general release. 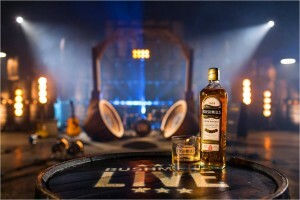 Instead, whiskey and music fans can win the chance to attend the festival by entering a draw at www.facebook.com/bushmills. 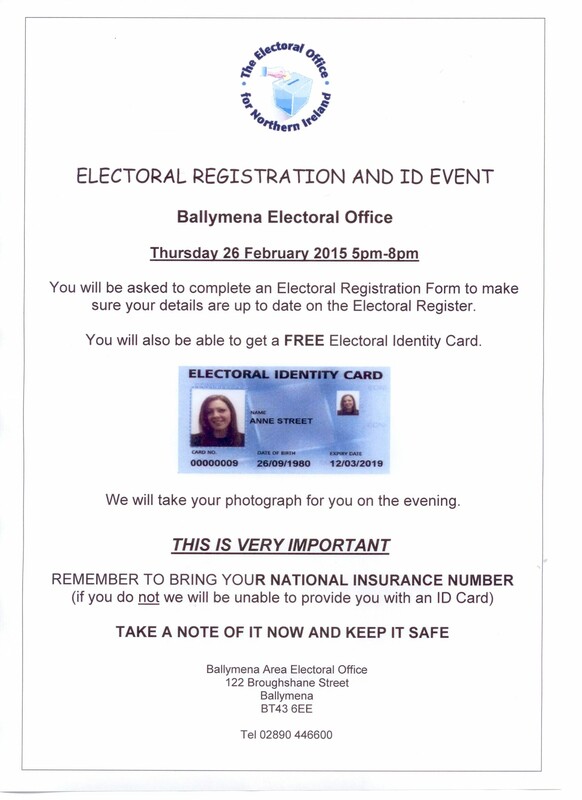 Entries to the draw will open on Monday, March 17 (St Patrick’s Day) at 16:08 GMT. 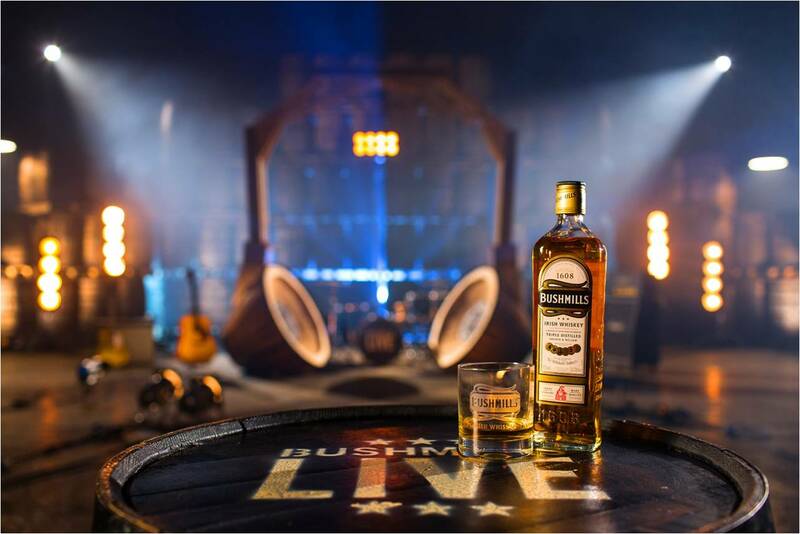 Bushmills Irish Whiskey Master Distiller Colum Egan said: “We’re looking forward to throwing open the doors of the distillery and welcoming friends, old and new, to come and enjoy the handcrafted whiskey and music on offer at ‘Bushmills Live 2014’. 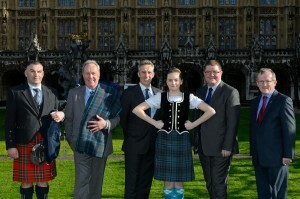 The Giants Causeway Tartan was officially launched today (Tuesday 4th February) at a special reception in Westminster. The Reception, is a showcase for the Ulster Scots Agency who host an annual event in Westminster to demonstrate their heritage, culture and give an insight as to the Agency’s work. 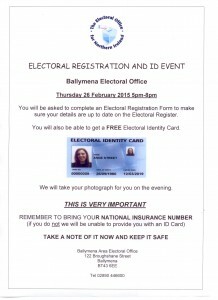 The event, which has received support from Tourism Ireland as well as the Bushmills distillery and Good Food NI will include dancers, pipers and various speakers from the Ulster Scots Agency as well as a Bushmills whiskey tasting opportunity and traditional Irish and Scottish food sampling. The tartan has been designed by Coleraine business, Tweedy Acheson & Co. taking inspiration from the dramatic Causeway coastline incorporating the greys of the basalt columns, the green of the countryside and the blue-white of the Atlantic surf. Tweedy Acheson, one of the North Coast’s oldest businesses, was established in1918 and used its extensive experience to develop the design and weave the fabric for the tartan, alongside Yorkshire firm, Marton Mills. The tartan will primarily be used for making kilts, but the company has also used the tartan design to develop a range of high end lifestyle gifts which are now available online at giantscausewaytartan.com and through various Northern Ireland retail outlets including the Giants Causeway Visitor Centre. Martin Balmer, Director of Tweedy Acheson, said; “Tartans have always been popular and are now in vogue with many of the fashion houses because of the richness in the fabrics giving a very luxurious product. We recently realised there was interest in a local tartan and it seemed timely to develop a fabric which reflected the stunning beauty of the Causeway area and celebrated the Giant’s Causeway as a world heritage site. 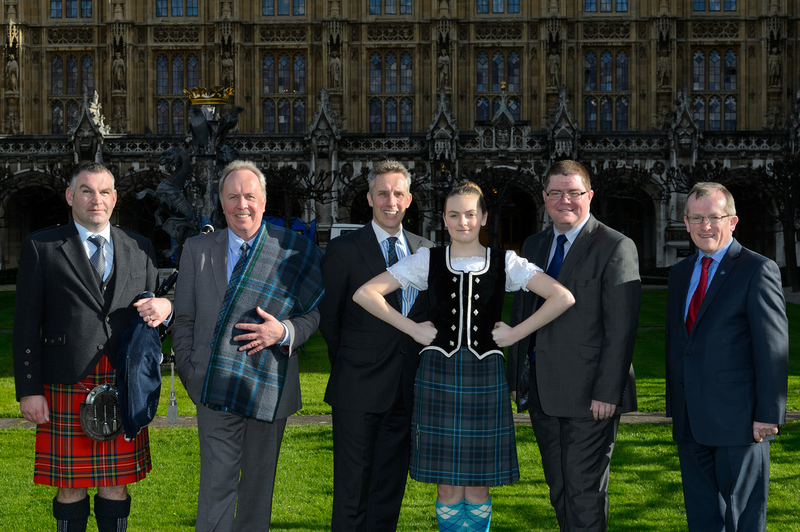 Plans are under way with the help of Invest NI to sell the tartan further afield to those with links to the Ulster Scots/Scots Irish communities in North America, Australia and New Zealand targeting the diaspora market. 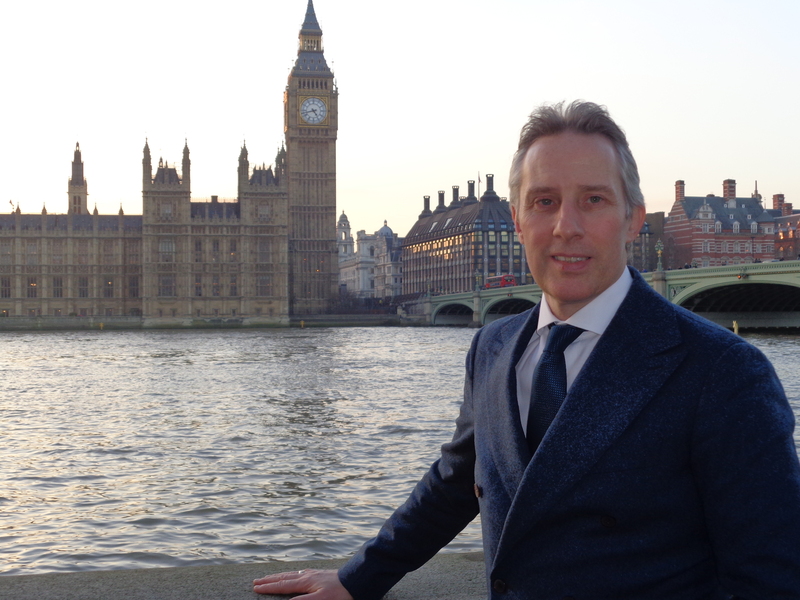 North Antrim MP Ian Paisley invited Tweedy Acheson to exhibit at the event in London given the close links between the Ulster Scots and the Giants Causeway. “I thought this was a great platform to help advertise this fantastic new tartan that Tweedy Acheson has created. It is a privilege to help raise the profile of this wonderful creation which epitomises the north coast of Antrim and more specifically the Giants Causeway in its design. 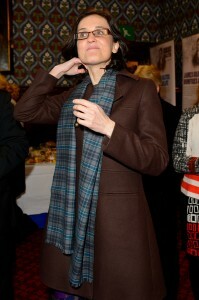 The tartan is registered with the Scottish Register of Tartans in Edinburgh.